This one was kinda fun. 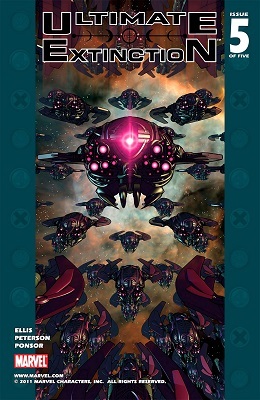 Weaponizing another universe's Big Bang? That's the kind of crazy comic pseudo-science I can get behind. That is a comic book solution if I ever heard one. Warren Ellis's mad comic science is my favourite mad comic science. I really liked this iteration of The Ultimates, before Natasha turned out to be a spy and Hawkeye's family got killed, and Thor was still a seemingly psychologically inbalanced ecoterrorist. I somehow missed this entire segment and I'm sad that I did. 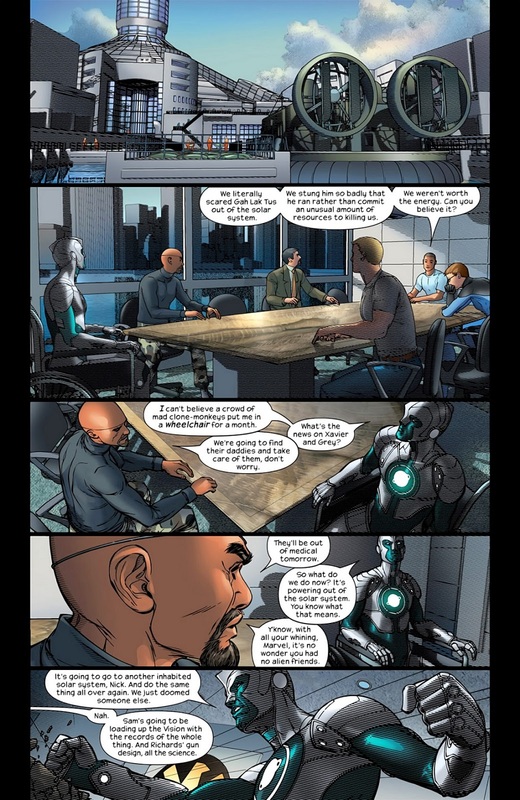 The whole Incursion thing (which lead to Secret Wars and Battleworld) started because one Universe was killed off early, which caused a "contraction" along the Multiversal timeline and other universes colliding with one another. 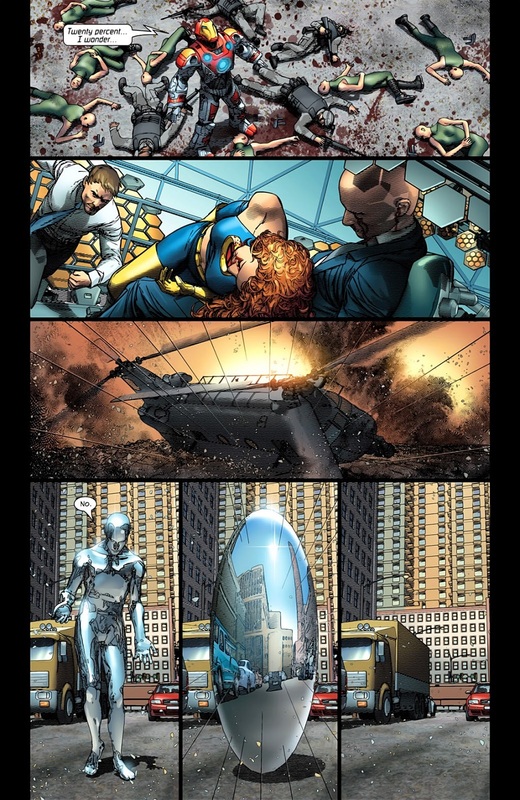 Was the "baby universe" Ult!Reed killed supposed to be that Universe? If so, that's one hell of a callback. 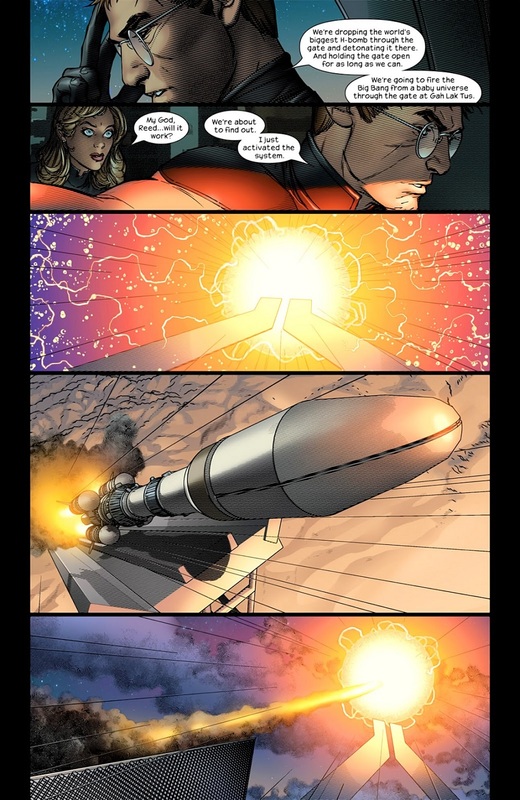 No, it was Doctor Doom killing a Molecule Man. 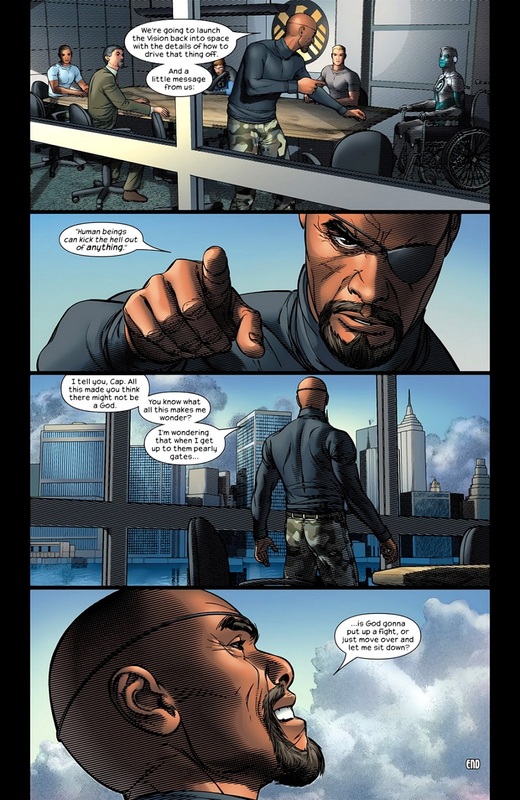 Silly, thinking Jonathan Hickman's super-epic plot would actually use something someone else wrote as a plot point. 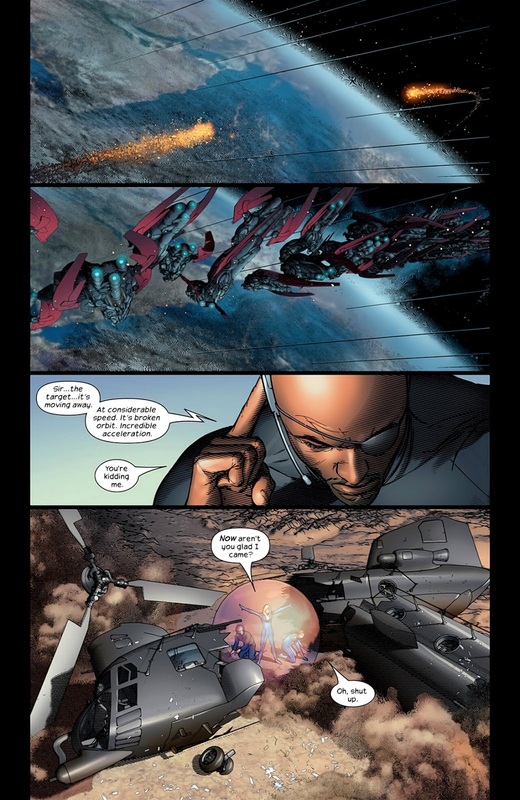 It's such whiplash that we went straight from Bendis and his always struggling to get over 'middle of the line' with occasional moments of inspiration Avengers to Hickman's SPACE AVENGERS (that ignore almost all of the Avengers space members/previous space experience). 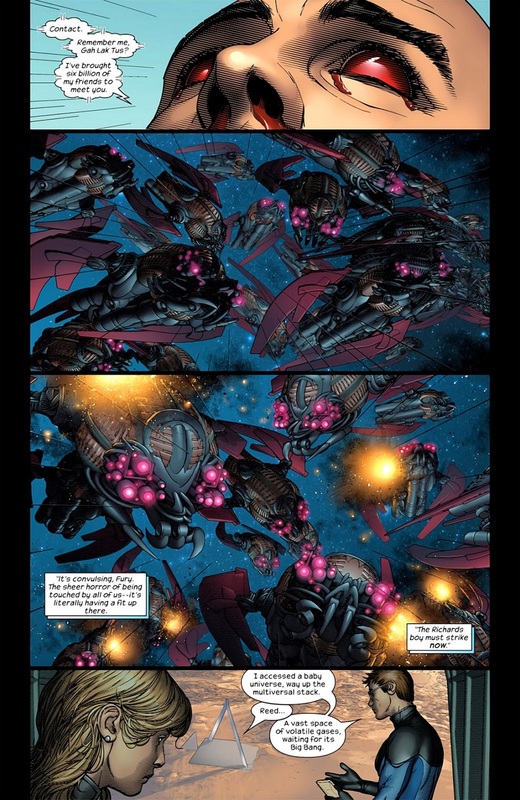 I think the thing that disappointed most about Gah Lak Tus is that, unlike Galactus, it's an it - a hateful, but ultimately alien force-of-nature from who-knows-where - rather than a he, a character that can be sympathised with (or not). 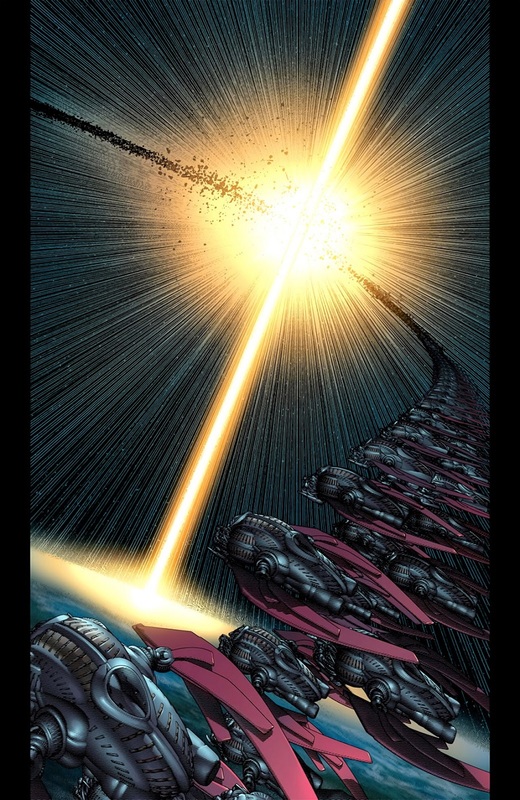 Galactus could go through a redemptive arc as the 'lifebringer'; Gah Lak Tus could, I don't know, get reprogrammed? Have a paint job? Be reborn as an adorable seed-spreading drone?